Select Folder Guard GPO from the list, and press OK. From this moment on, the computers in the OU will start to download the GPO from the server and apply the GPO settings. You are done! Keep in mind, however, that some changes to the Folder Guard settings become effective only when a user logs in to the computer. 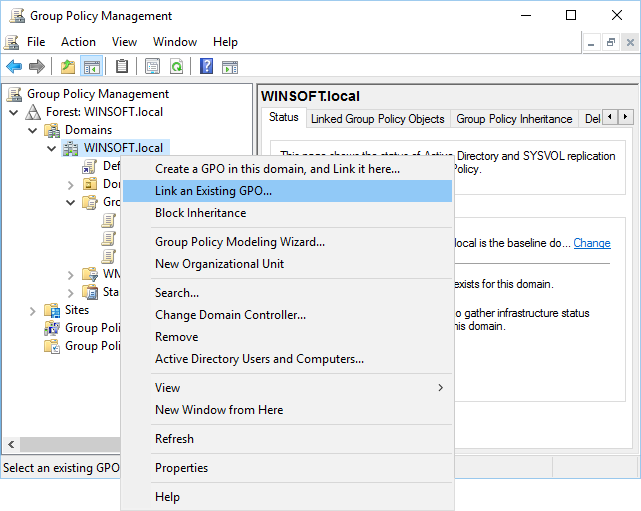 So, after you have changed the Folder Guard GPO on the server, and issued gpudate on the client, you may still need to log off the client and log back on for the new settings to take effect. In some situations it's not enough to log off and log back on, but a full computer restart is required. For example, if you have linked the Folder Guard GPO to a computer for the first time, and performed gpudate on the client, the client computer must be restarted in order for Folder Guard software to be actually installed on it. 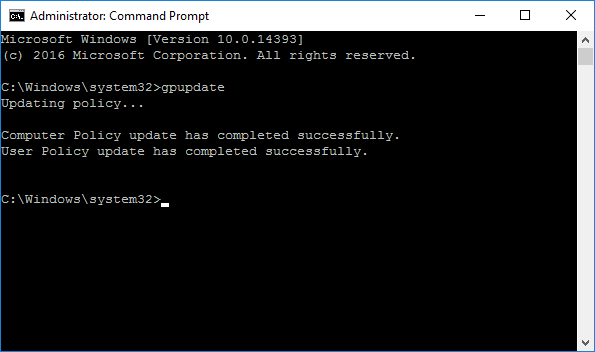 The restart is also needed after you post an updated version of Folder Guard software on the server: the software update can only happen after the client computer is restarted.